Are you a Reflexologist with clients who are trying to conceive? Would you like to have the confidence to treat pregnant women with Reflexology? 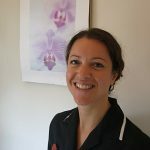 Whether you client is already pregnant, or they are trying to conceive, Reflexology for Pregnancy can help them to feel more positive and relaxed and bring their body into a state of balance. The body’s systems are encouraged to work to their optimum – helping you to give your client the best chance of conception and a healthy, happy pregnancy. Reflexology for Pregnancy allows the practitioner to treat a pregnant client safely. It also prepares therapist for what to expect during their client’s pregnancy. You will understand possible causes of miscarriage and know which areas of the feet to treat or to avoid. Course notes regularly updated to include all related content. All therapists both self-employed and working in salons or spas would benefit from this specialised course. It teaches the safe positioning for mothers to be, along with a safe and relevant routine for pregnant women. Pregnant women will look for a reflexologist who is trained specifically in pregnancy reflexology, so they know it will be safe for them and their baby. In order to be able to add this therapy to your insurance, you must be a practising reflexologist and hold a relevant reflexology qualification. If in doubt check with us and your insurer.